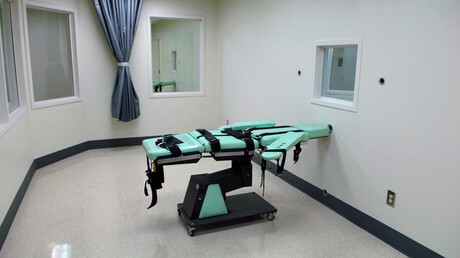 In early April, the state’s Governor Asa Hutchinson ordered that the executions be carried out for eight inmates (one was later put on hold by a judge on appeal), since one of the drugs is to expire by the end of the month. European laws effectively forbid the sale of drugs for execution purposes, and many US companies also refuse to sell the chemicals. In March 2015, the American Pharmacists Association issued a statement calling on its members to deny any sales of such material as “contrary” to the goals of healthcare providers. A former correctional officer who administered lethal injections in Virginia, Jerry Givens, spoke to RT about the ramifications for those tasked with conducting executions today. RT: Arkansas’ governor schedules mass death row execution to use up lethal injection drug before it expires. What do you make of this decision? Jerry Givens:It's too soon for those people that have to carry out those executions. You can get more drugs, but for those people that carry that many executions out in that short period of time – and they haven't carried out an execution in 12 years – I think that's too much on them. I would never put that on them. I wouldn't do it myself, and I have carried out 62 executions. 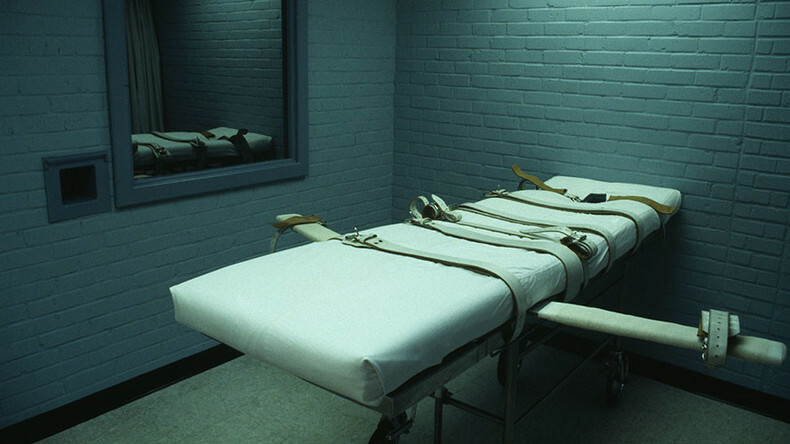 RT: Can the drug expiry be sufficient warranty for scheduling mass death row executions? JG:When the drugs expire – I believe it's the 30th of April – I don't know whether they can get more drugs or not, but they have other inmates that are scheduled to be executed. So where will you get the drugs to execute those guys? If you're dependent on this drug expiring, an expiration date as of the 30th, where will you get the other drugs if you have executions after the 30th? Where will you get drugs from then? That's my question. RT: You took part in executions of prisoners in the past. How do you estimate the emotional stress for the officers involved? JG:Well, we never had that many scheduled. 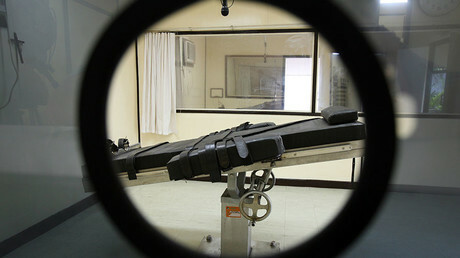 When I was executing in 1999, in the month of April I had five scheduled. I had just completed two in the month of March. But I knew that I wasn't ready to carry out that many at one given time. But the dates come that way. But you have to be a special person to prepare yourself for that assignment. You have to remember that those are correctional officers that are carrying out these executions. So they have other assignments...and to prepare yourself to take a life or to kill a person, is not an easy task. It's not an easy thing to do. And the only way that you will know this is you have to perform that. And I don't advise anybody to go out and kill nobody just to see how it is, but I have done that. So I know they can't speak for themselves, so I'm here to speak for them...I wouldn't want nobody to have to go through that. They're human beings. We all are human beings. And they're my brothers and sisters...and I don't want them to have to go through it. Not the inmates, the inmates deserve what they're getting. Trust me: the inmates, I guarantee you, they are ready. They have accepted responsibility and have been on death row for a period of time, so most of those guys are ready. I haven't seen one yet that wasn't ready to get it over with. So the inmates are ready....I don't see how the staff are going to get ready for that if they've never participated in something like this before. I wouldn't put this on no one and I'm sorry to say that. RT: If the lawyers fighting to stop the planned executions do not win their case, what consequences – social and psychological – might these executions have? JG:Well I don't know how it will affect them, but why would you take a chance? If someone told me that down the street it was a flood and don't drive across it, you think I'm going to go and drive across it when someone just went across it and knows what the consequences are? So I don't know what they will go through, and they might be successful and not have a problem at all, but why play Russian roulette with your life? The officers have to face the aftermath of the executions, what comes after that. The inmate is gone. The officers have to live their lives, and they've got family members, and it's going to always come to you. I don't care. You're never going to forget that. It's going to be with you. As long as they have executions and as long as people take lives of other people, you're going to always have problems like that.